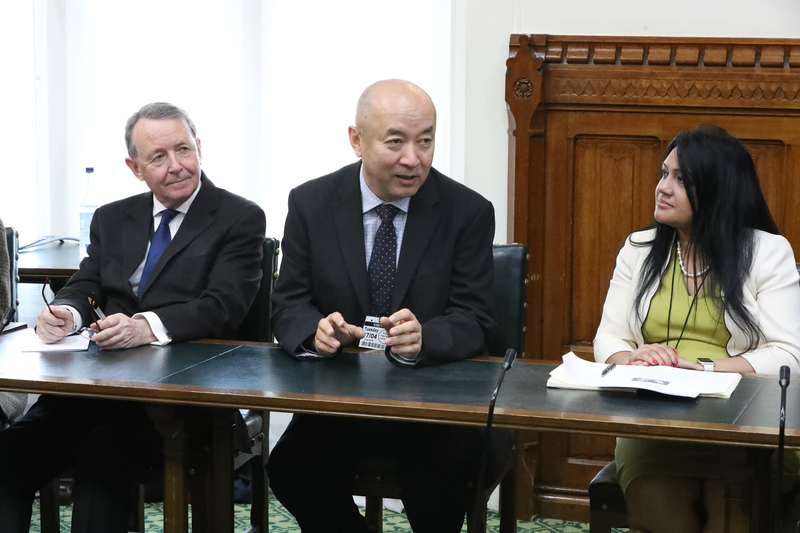 Lawmakers at the UK Parliament heard evidence from leading investigators at an April 17 briefing about forced organ harvesting in China. The investigators pieced together the evidence that they say shows that organs are being forcibly extracted from prisoners of conscience in China and then sold for profit on an “industrial” scale. “This is thousands upon thousands upon thousands of people being forced to hand over, unwillingly, their organs,” said Jim Shannon MP, who co-hosted the talk with Fiona Bruce MP in the parliament building. 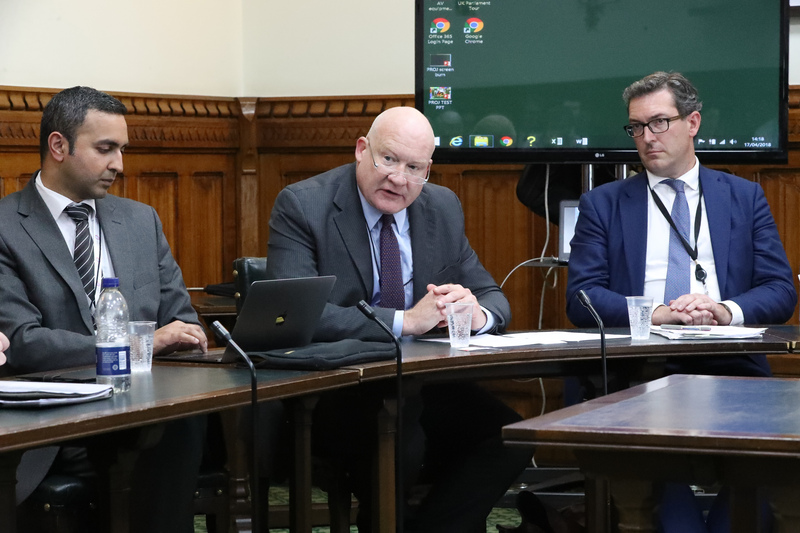 Among the nine speakers were Nobel Peace Prize nominee Ethan Gutmann, former Canadian Secretary of State (Asia-Pacific) David Kilgour, and Benedict Rogers, Deputy Chairman of the Conservative Party Human Rights Commission. Research by Gutmann, Kilgour, and human rights lawyer David Matas, found that the main supply of harvested organs is from adherents of Falun Gong, a traditional Chinese practice of the Buddhist school that has been persecuted by the Chinese regime since 1999. “Their vital organs, including kidneys, livers, corneas and hearts, were seized involuntarily for sale at high prices, sometimes to foreigners, who normally face long waits for voluntary donations of such organs in their home countries,” notes a 2006 report by David Matas and David Kilgour. The report found that Uyghurs, Tibetan Buddhists, and some house Christians were also victimized. Transplants from those who voluntarily donate their organs and from death-row prisoners come nowhere near to explaining the total number of transplants taking place in China. In China there is a cultural prohibition to donating organs, and a voluntary organ donation system is in its infancy. According to the investigators, Falun Gong practitioners who were illegally detained but later got out of China almost all spoke of a similar experience: they had their blood tested and organs examined while they were in forced labour camps. According to investigators, this was not for health reasons, as they were victims of torture, but a test to assess if their organs were suitable for harvesting. 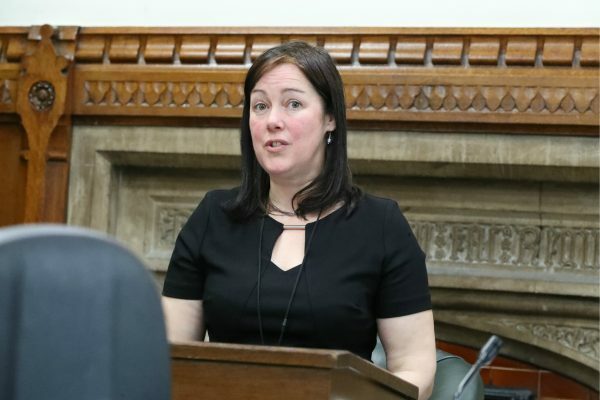 “Until you start reading the reports and the investigations and all the evidence, I don’t think you can grasp how serious it is,” said the chair of the event, Becky James, who is a co-founder of Bristol Against Forced Organ Harvesting. Bristol is twinned with Guangzhou, a city in China that has several hospitals implicated in organ harvesting, according to researchers. A comprehensive 2016 report by Kilgour, Matas, and Gutmann called “Bloody Harvest/The Slaughter: An Update” includes research into the public records of 712 hospitals in China that carry out liver and kidney transplants. It found that the numbers of organ transplantations was exponentially higher than the “official statistics” of 10,000 to 20,000 per year. In June 2016, the U.S. Congress unanimously passed legislation condemning the harvesting of organs from Falun Gong practitioners in China, and the European Parliament passed legislation on stopping organ harvesting from prisoners of conscience in China July of the same year. Chinese authorities said they would stop all organ harvesting from prisoners by Jan. 1, 2015, but the evidence presented at this discussion suggests otherwise. “The official position from the transplantation society is that things have changed in China… but the problem is, there’s no transparency, there’s no openness there’s no way of verifying that,” said Dr. Adnan Sharif, a consultant nephrologist and Secretary for Doctors Against Forced Organ Harvesting (DAFOH). “We’ll just keep going until we have complete evidence that [forced organ harvesting] has stopped and there’s some accountability and recognition for what has happened. And until that happens we’ll carry on,” he said. It’s a determination that’s echoed by Benedict Rogers, Vice-Chair of the Conservative Party Human Rights Commission who penned a report (pdf) for the commission on forced organ harvesting in China in 2016. “If they [Chinese authorities] say they’ve stopped this, they ought to open up all of the hospitals in the country to truly independent international inspection, inspections without advance notice,” he said.